Strengthening the existing infrastructure hub as it moves to becoming a self-sustaining organisation with a range of enabling support services. 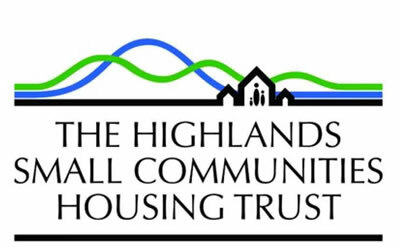 Highlands Small Communities Housing Trust (HSCHT) aims to make community-led housing a mainstream option to deliver affordable housing. To raise the profile of and demand for community-led housing, through the expansion of an infrastructure hub for the central belt cities and everywhere north in Scotland. Community-led housing is a widely recognised and understood model of delivering affordable housing. HSCHT’s role is to increase the infrastructure support given to community-led housing organisations in northern Scotland. Most of HSCHT’s work is with extremely rural communities, but this funded work will also include activity in urban areas across the region. Put in place the financing for each scheme and decide the types of tenure and ongoing management of a scheme. For ongoing sustainability of community-led housing in the region, a key element of this project will be for HSCHT to become fully self-funded organisation. HSCHT regularly collaborates with Dumfries and Galloway Small Communities Housing Trust, which the Nationwide Foundation is also funding. Knowledge gained from this project will be used to influence changes in policy towards a stronger interest in and acceptance of community-led housing as a more mainstream solution to housing need.